Here’s one to get excited about, Babyologists – Stokke has an exciting new nursery furniture concept that we just couldn’t wait to show you. 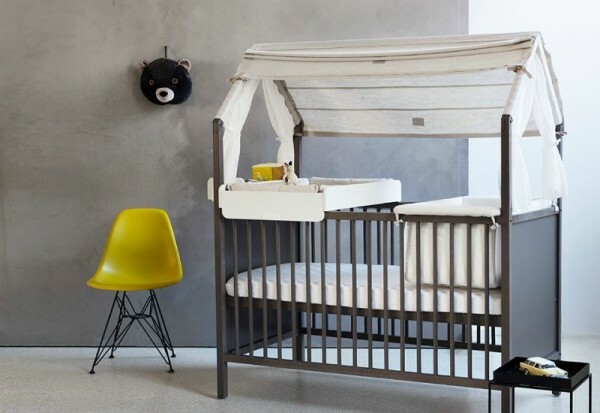 Already renowned for their innovative Scandinavian design in strollers, cots, baby carriers and high chairs, this modular collection lets you fit the whole nursery out in style. At the heart of the Stokke Home concept is the Stokke Home Bed. With a gorgeous and comforting house shape framing the top of the cot, this bed can grow with your baby as their needs (and your decorating styles) change. Take the side panel off and replace it with a bed guard for an instant and dreamy toddler bed. 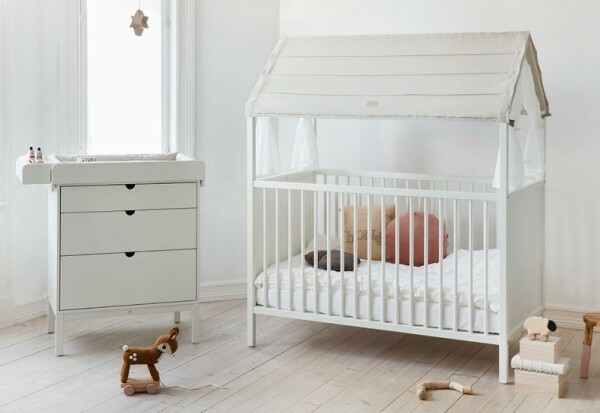 Even when your little one moves up to a single bed, they can keep it as a playhouse by adding the Stokke Roof or beige stripe tent (not that I’d want to wait for that fun addition!). 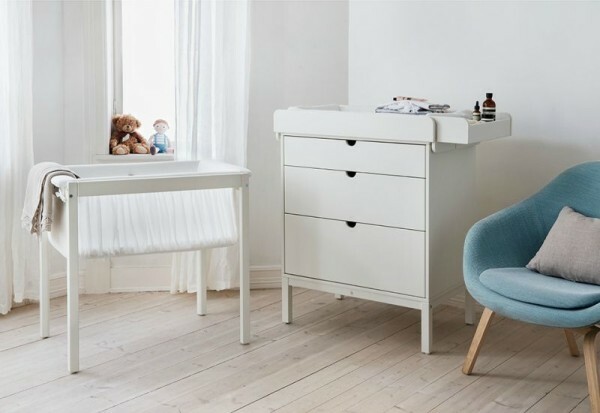 In addition to the bed, the Stokke Home collection includes a cradle, changer and dresser. Each piece of furniture has been designed to look timelessly elegant while providing countless possibilities for designing a room that suits your style and space. Newborns will feel cosy in the soft, swaying motion of the Stokke Home Cradle. All four sides provide plenty of airflow and the beautiful, light fabric will fit any room design. It can stand alone and move to stay close by you, or sit it on top of the Stokke Home Bed for a more compact fit. The Stokke Home Changer is the ultimate in practicality and versatility. You can attach it safely to the bed, dresser or the cradle stand and it comes with protective sides and a padded mattress for nappy changes at a convenient height. The included storage box can be attached to the side or end to keep everything close at hand. Then when baby has outgrown the changer, it becomes a child’s desk simply by turning it upside down and placing it on top of the cradle stand. 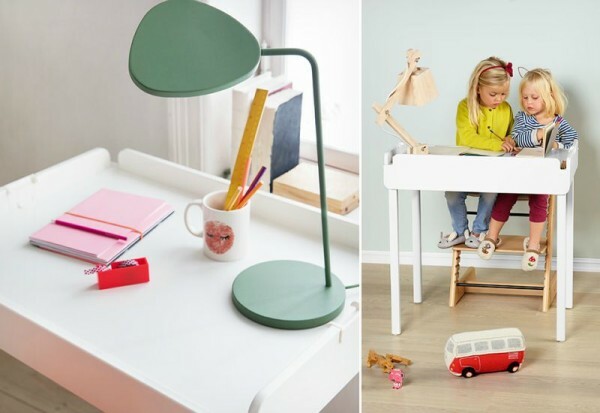 As fate would have it, the Stokke Home collection is not yet available in Australia, but of course we’ll let you know the moment this fabulous collection lands on our shores.